Summit Field Trips are exclusive, behind-the-scenes experiences tailored for chefs and food professionals. Travel to Bluffton, Georgia for an overnight trip to White Oak Pastures. 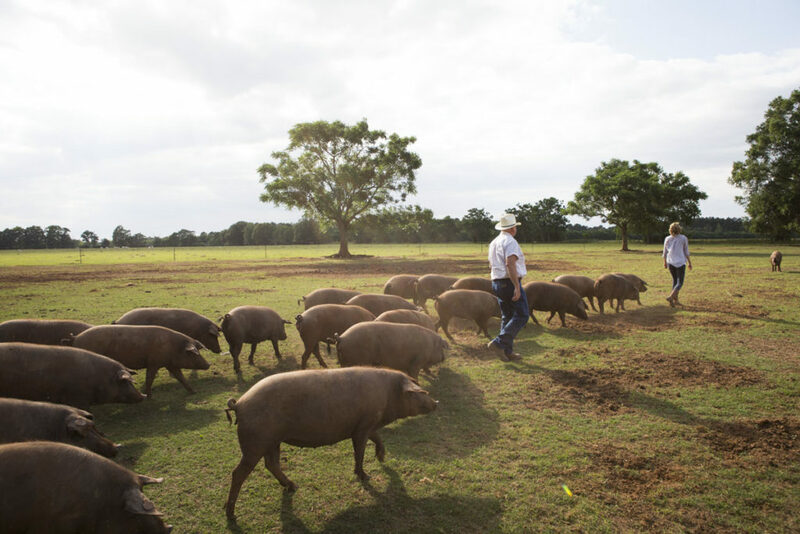 Enjoy an intimate tour of White Oak’s impressive land and abattoir where they raise and process 10 animal species. Learn how cattleman Will Harris’ “Southern Cowboy Common Sense” animal welfare translates into practice (White Oak is certified humane by four unique animal welfare organizations: Humane Farm Animal Care, Animal Welfare Approved, American Grassfed Association, and Global Animal Partnership). Enjoy meals prepared by White Oak’s chef Reid Harrison. Note: Transportation, Friday cocktails and dinner, Saturday breakfast and lunch included. Please note: some accommodations in Bluffton are shared rooms. Join James Beard award-winning author/butcher Adam Danforth, farmer Craig Rogers (Border Springs Farm, PatrickSprings, VA) and chef Michael Costa (Concept Chef, Zaytinya, Washington, DC) for a deep-dive into sourcing, butchering, and grilling lamb. 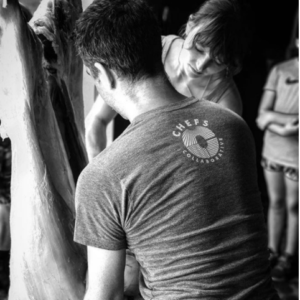 During the demonstration, butcher Adam Danforth will discuss how working muscles render more flavor, the inverse relationship of taste and texture, and how chefs can actively support farmers and reduce food waste by working with whole animals and lesser-known cuts. This workshop will cover the fundamentals of meat science, breaking down a sheep into primals and cuts. Chef Michael Costa will demonstrate techniques on The Big Green Egg to maximize the flavor of these complex meats and discuss the role chefs can play in driving market demand for new products. 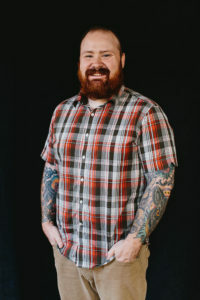 Border Springs Farm farmer Craig Rogers will educate attendees about strengthening the sourcing conversation, in particular regarding the sourcing of lamb, between chefs and farmers. Join us as we go on a good old-fashioned field trip to Jaemor Farms, a Greener Fields Together local farm partner, in Alto, Georgia. Explore the farm and learn how the Echols family has been sustaining their business and land for over 100 years. During the farm walk, learn how to choose the best fruits for preservation — sometimes it’s not the most beautiful! After the tour, enjoy a brown bag lunch crafted by chef Daniel Marteny (The Mill) featuring local ingredients from Royal Food Service. After lunch, Hugh Acheson (James Beard award-winning chef, restaurateur, and author) and Jovan Sage (food alchemist and owner at The Farmer & The Larder and Sage’s Larder) will take the stage, in conjunction with UGA Cooperative Extension, to lead a hands-on workshop on preserving local fruit straight out of Jaemor’s apple orchard. From peeling and coring to cooking and spicing to utilizing all parts of the fruit, they will walk you through the process of two different recipes. Tour one of Atlanta’s favorite markets through Kevin’s eyes. Join the chef for a morning stroll with a cup of locally roasted coffee. 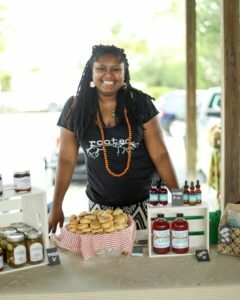 Enjoy this market tour which includes an in-depth tasting with Oliver Farm (producer of local pecan, sunflower and peanut oils) while getting to know some of Georgia’s growers and their bounty.